Whether it’s New Year or any other time of the year, it is always good to make some amendments to your house interior. You might be thinking that your home is already equipped with all the necessary details every house is supposed to have, but there you go wrong. No house is perfect and you got to work for making it perfect. The easy way is to look for problems. Are you facing any issues with your house lately? If yes, figure out the problem completely. Now space crunch is a big issue for many of us. Have you been seeking a little privacy in a certain part of a room? Here is the solution to that; partition walls. Have you thought of including them before? Partition walls are custom constructed walls according to your need in a certain part of a room. This partition segregates a particular portion of a bigger room. You can choose from a lot of different options while going for wall partition, and everything depends upon the room and the reason why you need to segregate a part out of it. Timber partition – This option goes well with minimalistic interior design and can add the classy look you have long been craving for. The colour of the interiors should be your main focus before opting for timber partition walls. Laser cut panels – One of the most customisable options is laser cut panels. Desired designs can be achieved in different partition walls by cutting out acrylic, MDF and particle board. Glass partition – Glass is a well-known partition option but its usage makes all the difference. Textured glass and glass tiles are mostly used to create partitions for wet areas. Glass along with frames of different materials like PVC timber and aluminium are extensively used for segregating in office areas. Storage partition walls – This type of partitioning comes with an advantage of storage systems. Walls are made out of wood in thick designs in a way so that they can work as storage spaces. This type of partitioning is suitable for bedrooms, study, and living rooms. These are some ideas you can consider if you are looking for wall partitioning in your house. Renowned wood workers from Dublin can help you with your further queries or get a free quote. 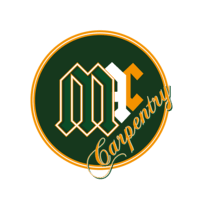 What Can You Expect From A Carpentry Company?